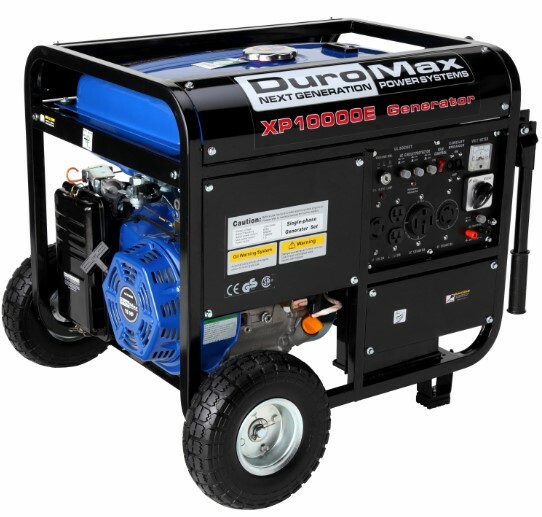 The DuroMax Elite MX4500e is a first class generator that answers all your power supply needs. It is designed and built with quality assurance that you can depend on. The need for uninterrupted power supply makes the DuroMax MX4500e a must to have in all business establishments for a worry-free continuous supply of current. Engineered for quality and customer satisfaction. 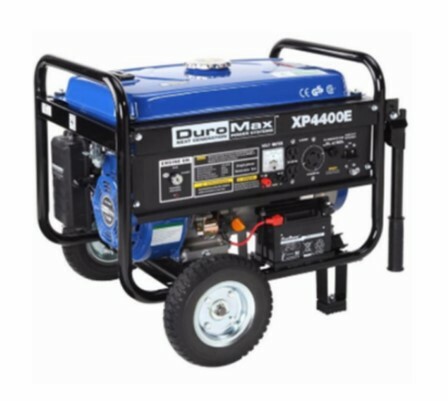 Product Features: Engineered to meet the high demands of continuous dependable power, the DuroMax Elite MX4500e is generated by a 7 HP DuroMax motor. 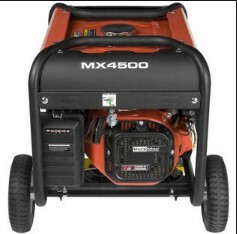 The motor by DuroMax can produce a high of 4500 watts or 4.5 Kw and a minimum of 3500watts or 3.5 Kw of constant generated power. 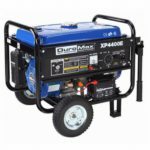 Designed for a trouble and worry free generator, the DuroMax MX4500e is equipped with an Automatic Idle Control or AIC to maintain the angular velocity of the motor even when loads are variable. The added feature in the DuroMax series MX4500e’s AIC is to increase the capacity of the motor maximizing its fuel efficiency and in the process minimizing the noise output of the motor. Like any motor, the DuroMax motor is air cooled but the best thing about it is its low oil shut off sensor that enables the motor to run while preventing motor burn out. 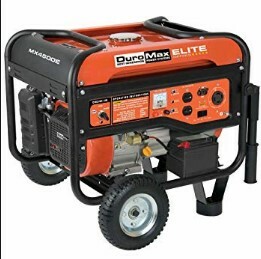 The DuroMax Elite MX4500e has a 4 gallon gas tank that provides an 8 hour continuous operation at a 50% load. DuroMax Elite MX4500e units are Environmental Protection Agency (EPA) approved. 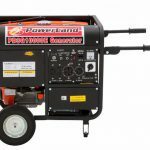 The motor works with a 69 dBA noise production rating due to its built-in quiet exhaust or muffler equipped with spark arrestor. 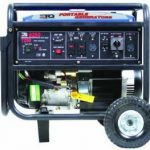 Features of the DuroMax 4500e main face is equipped with the proper necessities for a generator such as is pride power panel that is complete with all the much needed controls such as the RV switch, key operated electric start, engine shut-off switch, voltage meter and its own circuit breaker. 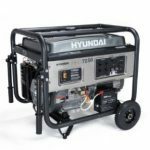 Its plug-ins or ports found in the power panel are the 2 – 120 Volts, 20 Amp, 3 Prong Outlets and a 120/240 Volts, 30 Amp Twist Lock Outlet which are National Electrical Manufacturers Association (NEMA) certified. 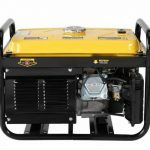 The DuroMax 4500e has a strong durable frame that is made from heavy duty steel and has a detachable steel roll cage for ease in transporting and to protect the main body of the generator. Securing its support over the roll cage are 4 – point engine mounts. 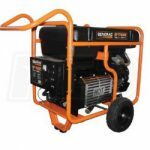 This support provides the generator enough reinforcement to minimize the vibration during its operation thus creating a quiet and smooth process. Another prestigious feature of the DuroMax MX4500e that it prides off is its ability for mobility and portability. The DuroMax MX4500e has a flip-up handle that is just waiting to be pulled or pushed to the working site. Its large durable and solid tires won’t budge a bit even in the roughest terrain. 2 of 2 people found the following review helpful: 5.0 out of 5 stars Excellent. So far DuroMax Elite MX4500e has really held up well and gave its end of the bargain, got this for daily use on my mobile repair trailer. I just have no issues or qualms at all so far after several months of pretty hard use. The electric start is working like a charm so far and I’m getting pretty good gas usage vs hours of operation. 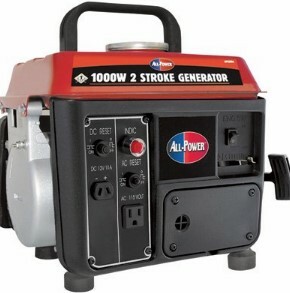 Not sure what else you would want in a generator. I can’t find anything disadvantageous about the Duromax MX4500e. It’s worth the money I spent on this baby. 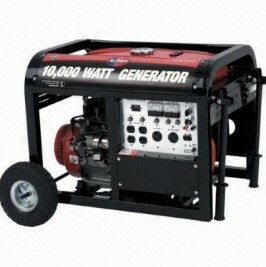 DuroMax Elite MX4500e is a dependable generator that is world class. 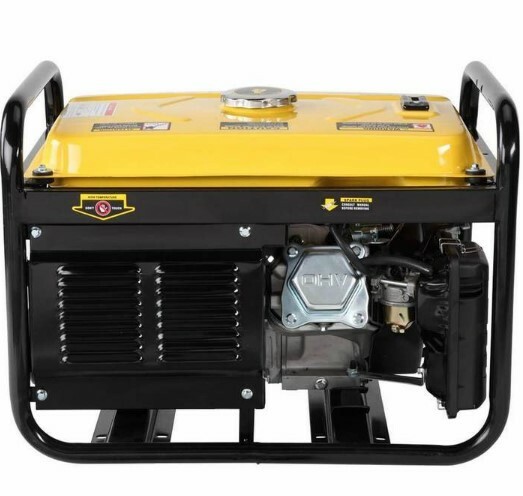 It is designed and engineered to meet the power needs you want. You can take the Duromax MX4500e to the field to start your pumping needs for the irrigation of your farm. 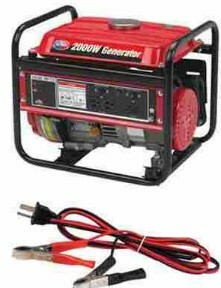 You can have it installed over at your business establishment’s basement or utility room for your needed power supply during brown-outs or loss of local current. Whatever your business is and whatever your power needs are, DuroMax Elite MX4500e is a friend you can depend on. 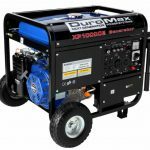 Check out your local stores or shop on-line for your new Duromax MX4500e generator and power your way to a brighter future.